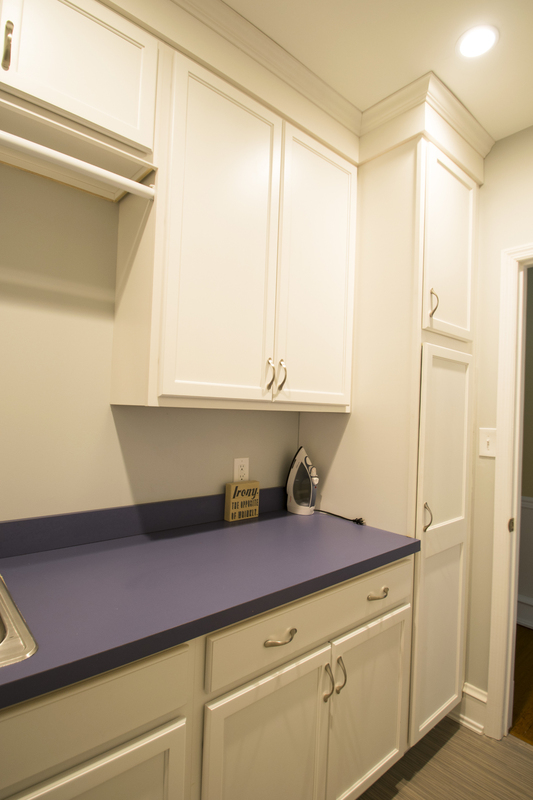 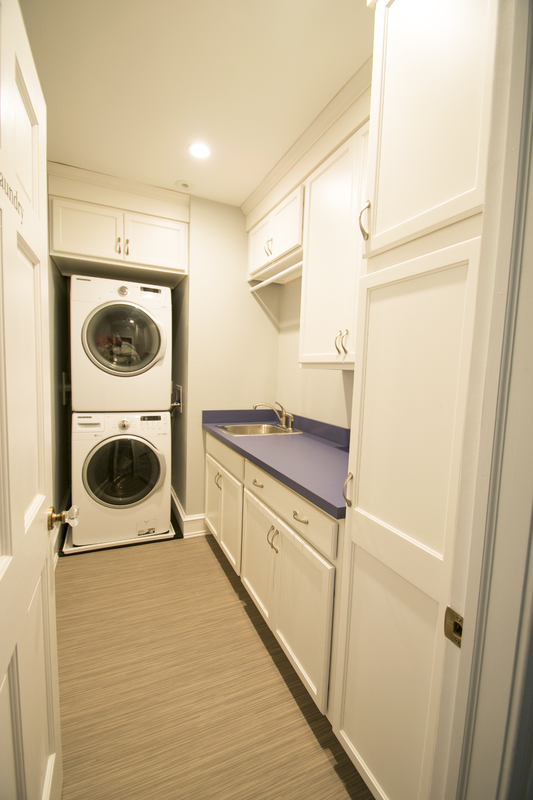 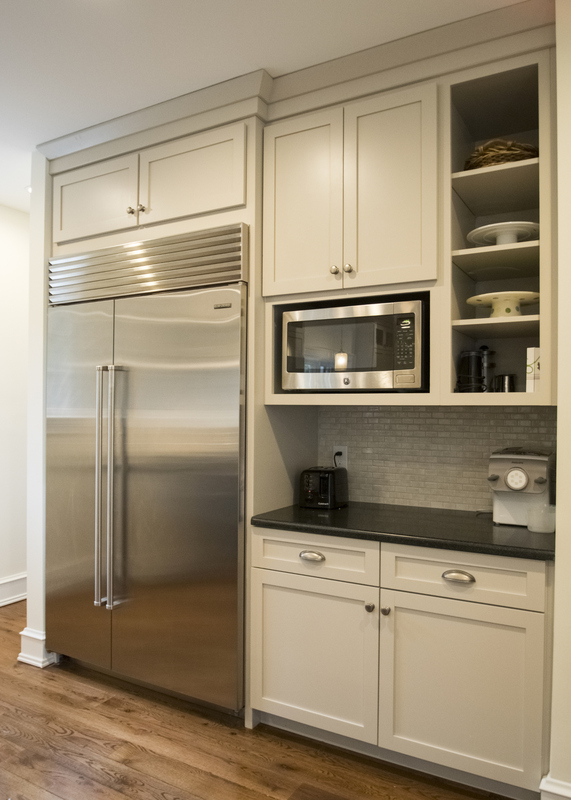 In 2015, we worked on a project for a young family to renovate their kitchen, laundry room, breezeway and stairs. 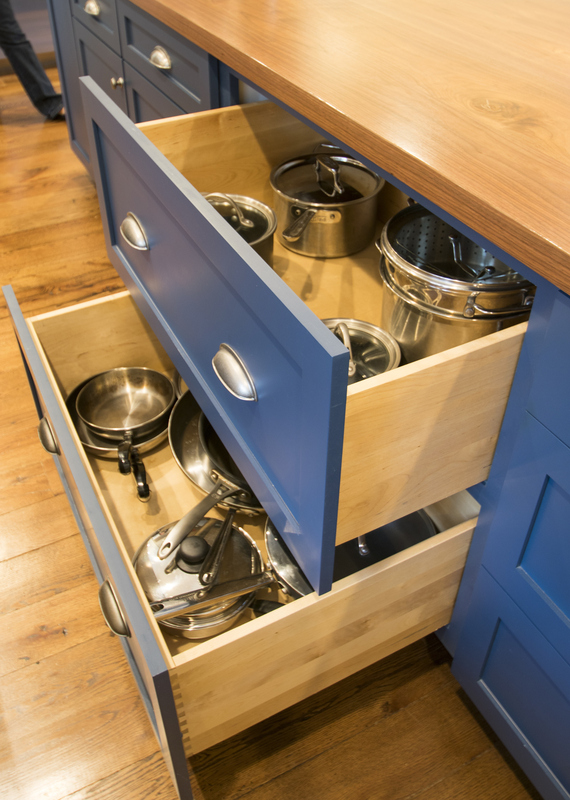 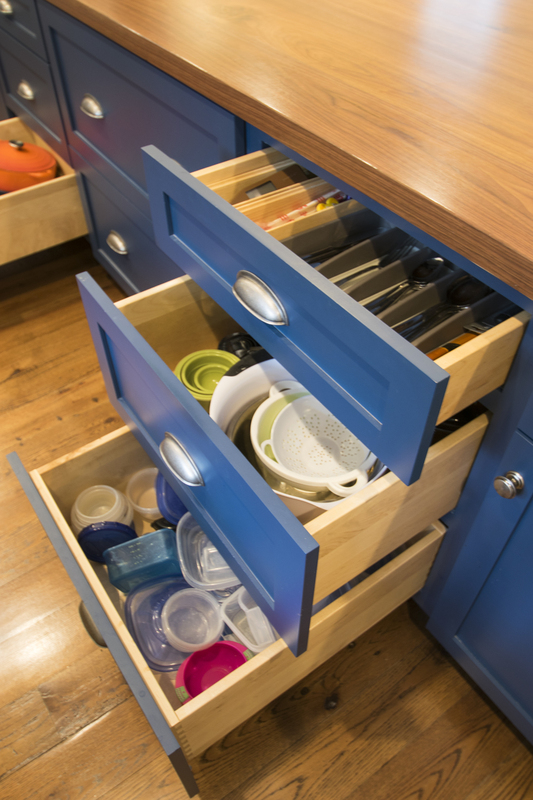 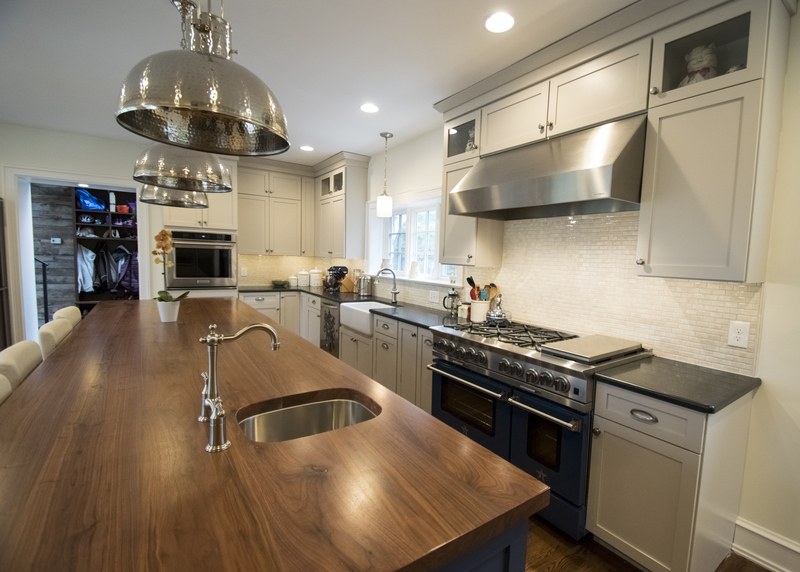 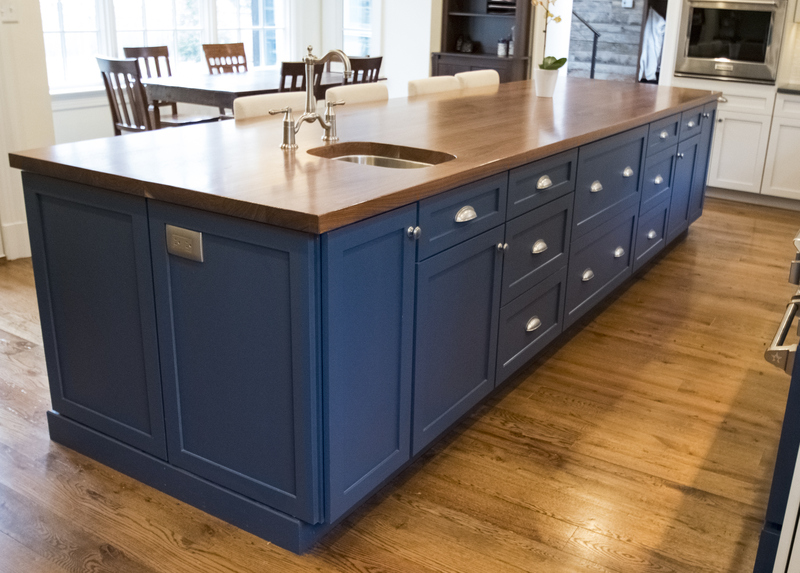 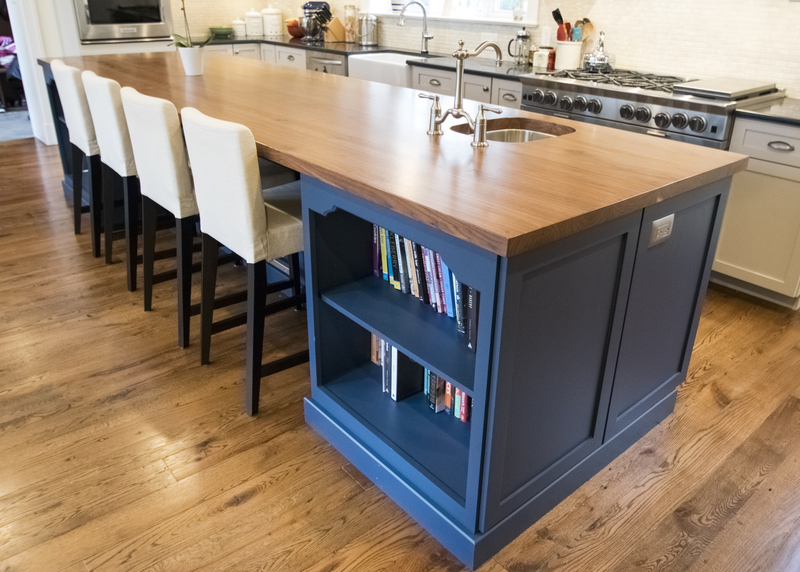 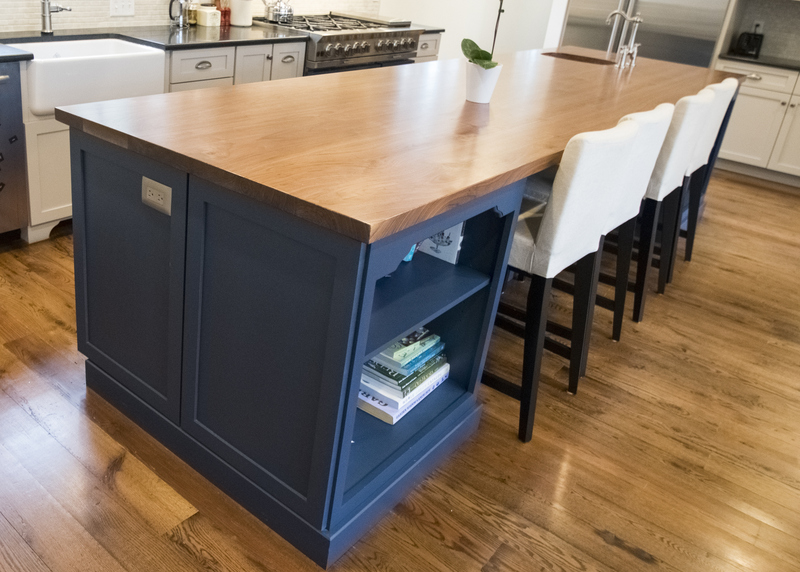 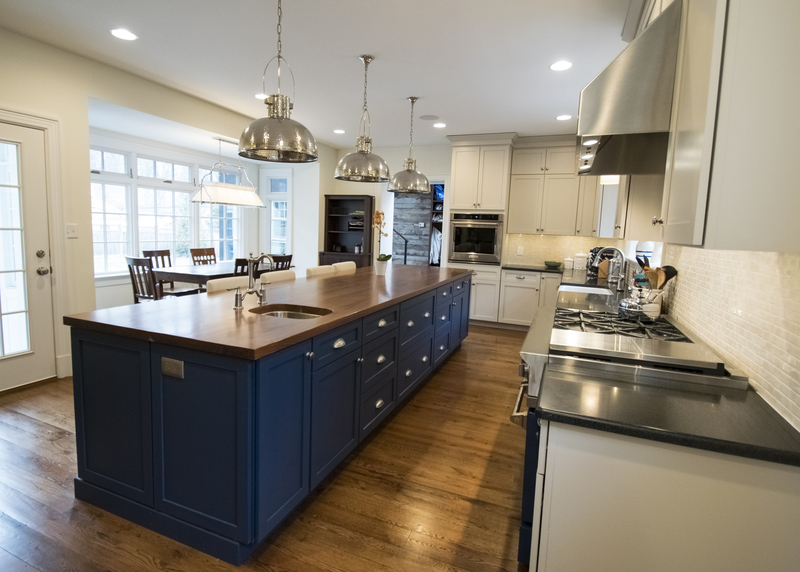 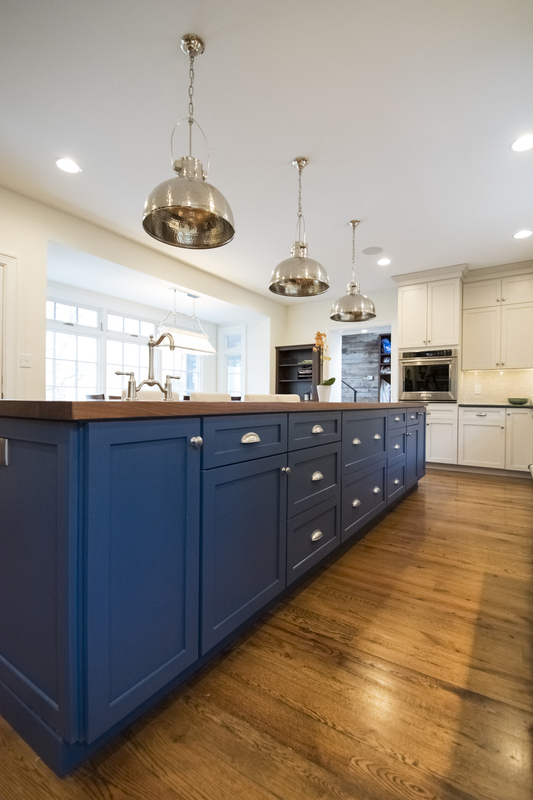 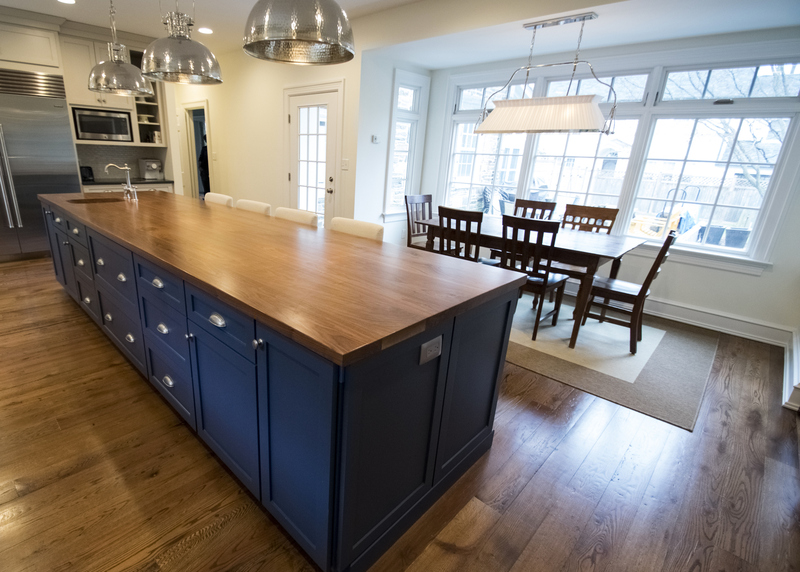 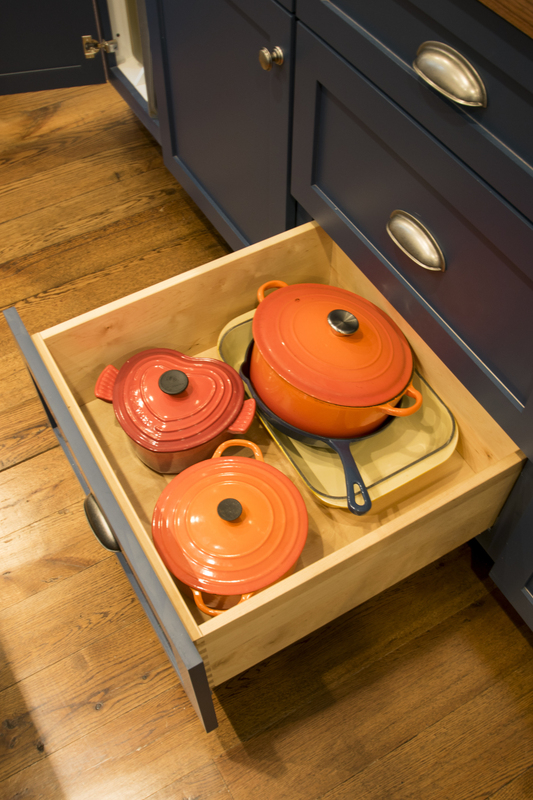 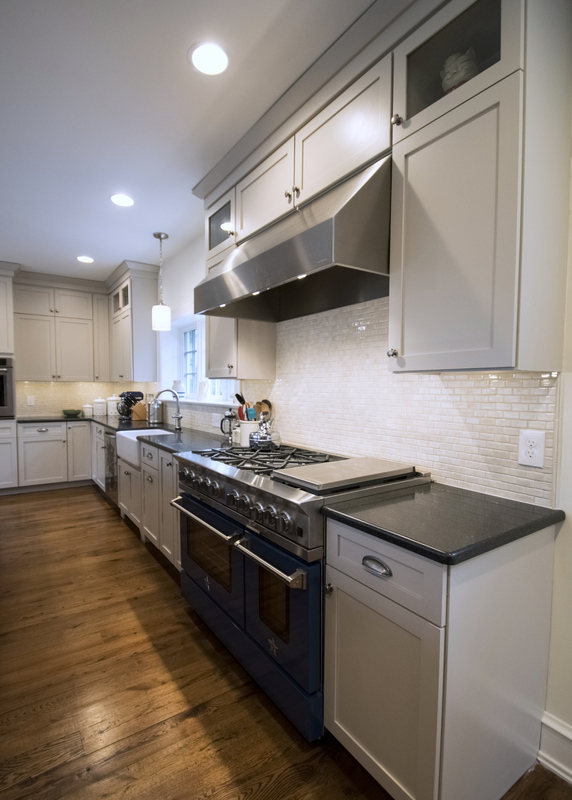 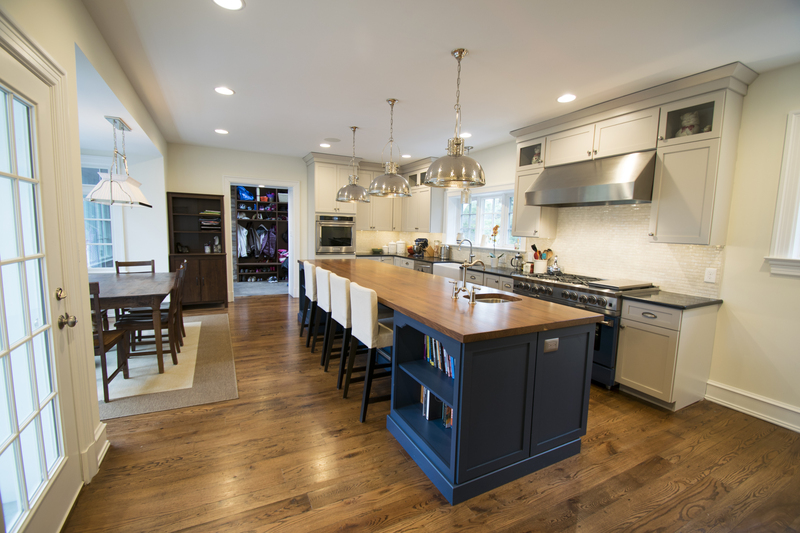 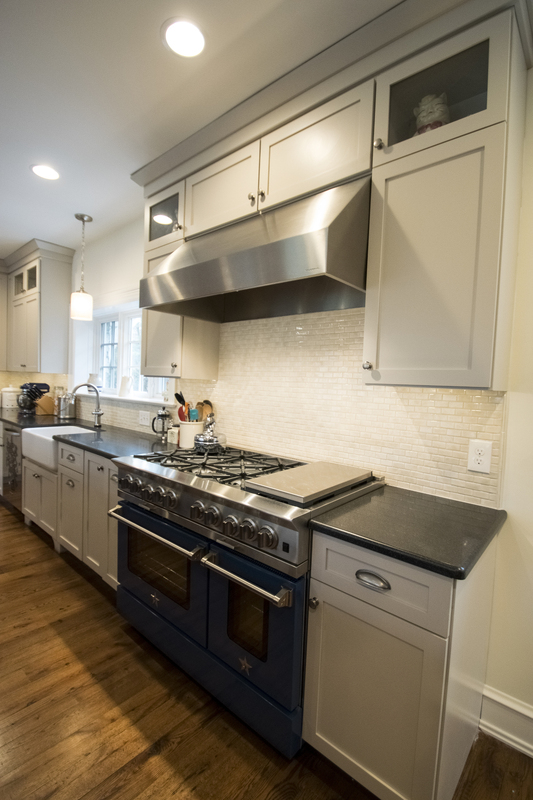 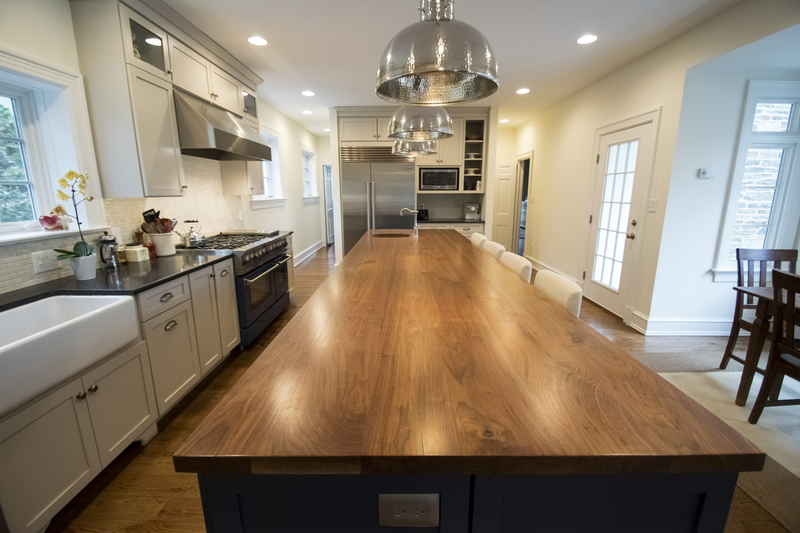 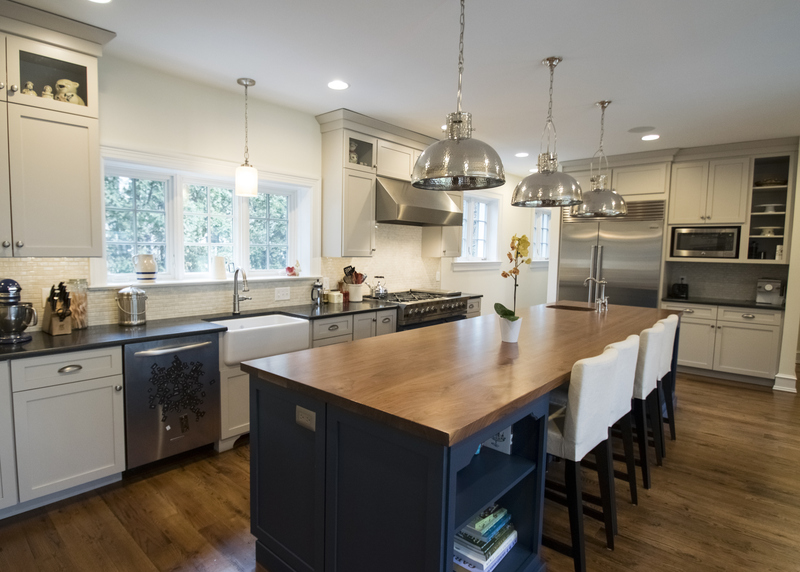 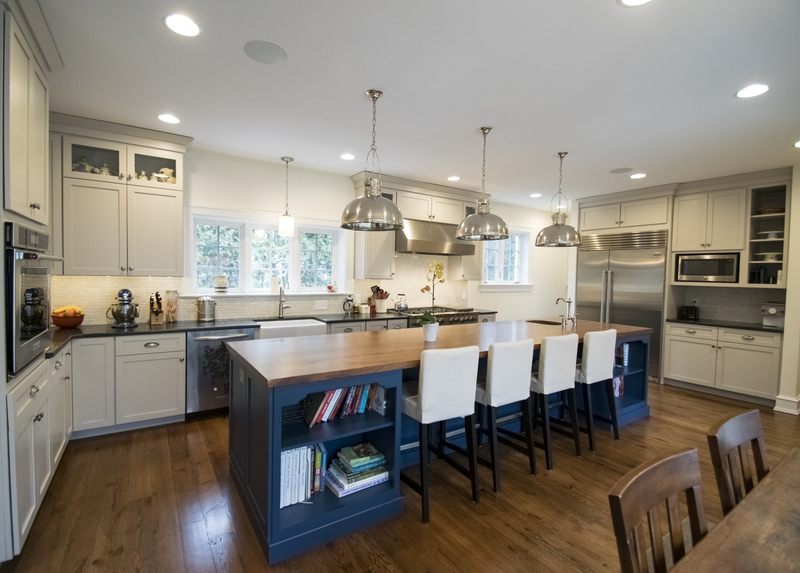 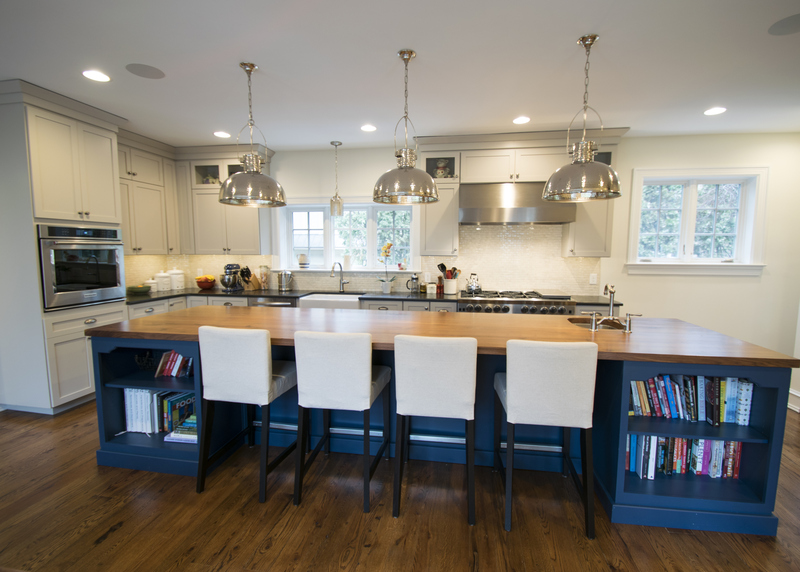 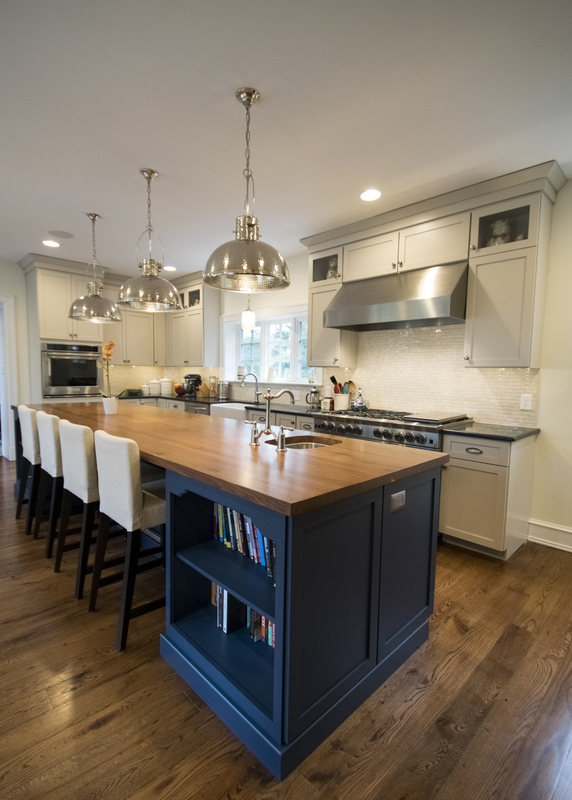 We collaborated with Sterling Kitchen & Bath to deliver this beautiful classic kitchen with a custom island in Blue Lagoon finish, and Reclaimed Furniture fabriacted the maple top on the island. 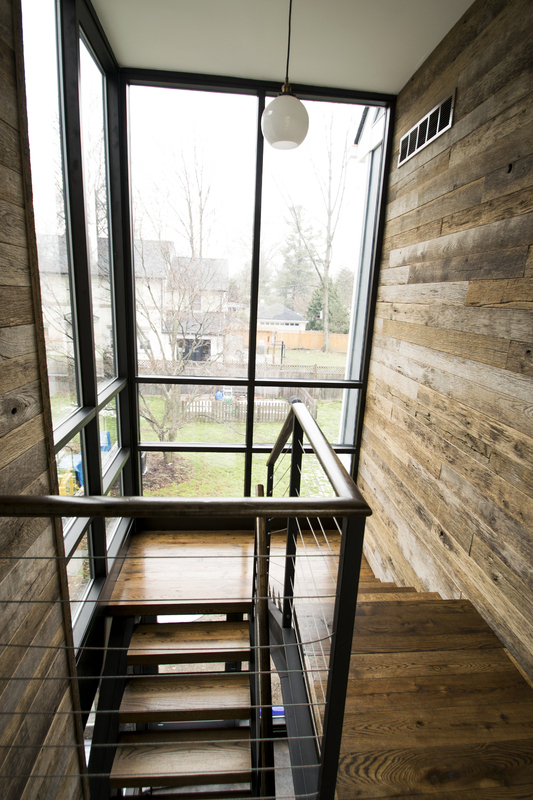 The breezeway features custom cubbies, reclaimed wood cladding on the walls, and store-front glass for a dramatic look. 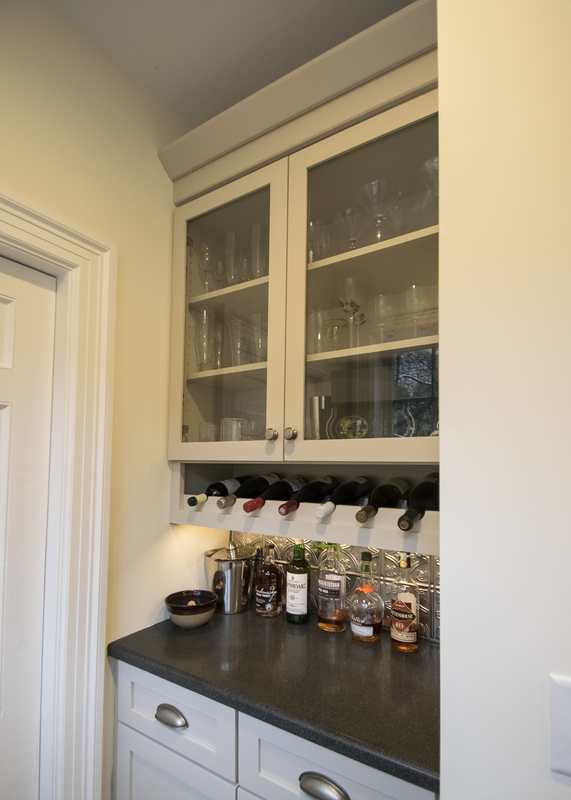 An upstairs gym room was fitted out with a ballet barre and mirror. 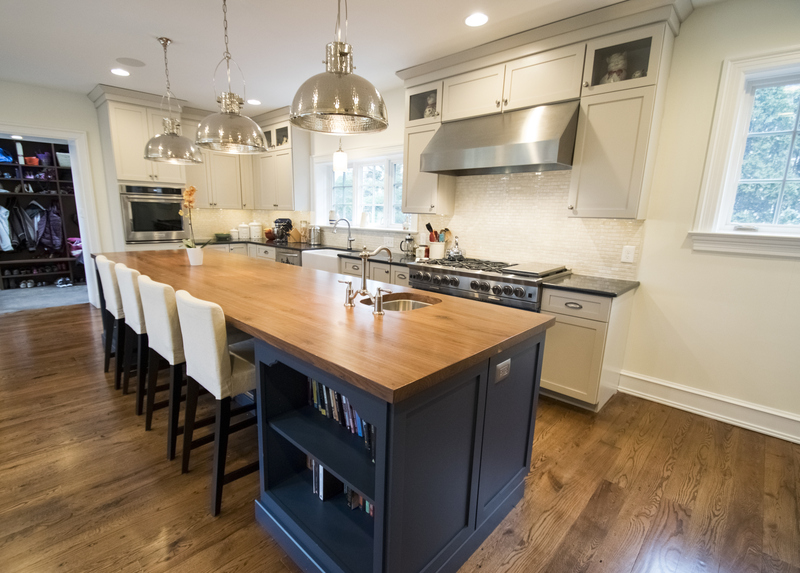 Since the family had young children, we were able to complete the job without displacing them from the home while work was being done.